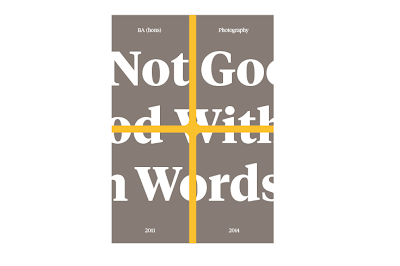 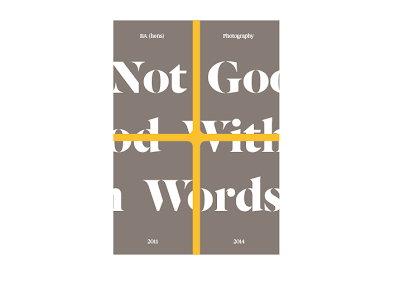 The photography team went away and talked to the rest of the photography students and as a group they came up with a group of names for the yearbook, through process of elimination they decided on ‘Not Good With Words’. 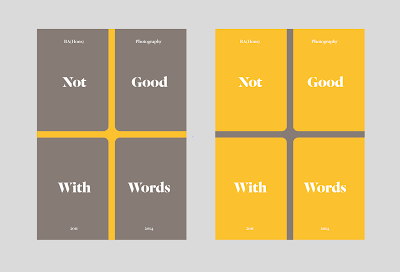 Using this name as a basis we looked at produced a front and back cover for the cards. 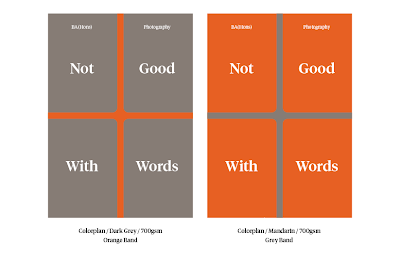 We had decided on using an X-band to hold the cards together this influenced how we designed the cover, it was important to think about how this obstructs the covers and how this can be used advantageously. 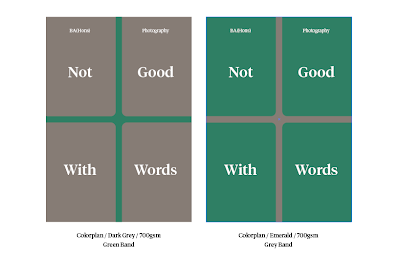 We looked at two different layouts however we felt the designed in which words were cut off the cover reflected the name visually as well mirroring how the cards in the pack overlap each other and are cut off at the edges. 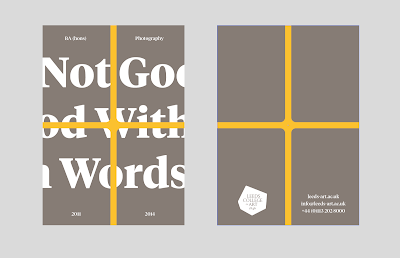 Brief 10 : Being : The print room!